The other night for dinner, my wife made the great suggestion that we have fish; always a smart move after overindulging on the weekend. She also suggested that since we had recently made a new batch of Pesto Sauce from our crop of freshly grown basil, I do something with that and, maybe, use one of the luscious late-summer tomatoes we’d just obtained at the local Farmers’ Market. With practically all of the ingredients predetermined for me, all I had to do was decide on how to prepare it and select the right fish for that method. Roasting seemed like a good idea, very little mess and no standing over a hot stove, so a thick piece of firm, white, fish would be best, either Halibut or Swordfish, depending upon what our local fishmonger had to offer that day. He had both, I chose the Halibut, which was about 1 inch thick. Next time I’ll try Swordfish! High heat roasting (for 1 inch thick fillet @450 degrees between 15 & 20 minutes) might tend to dry out the fish, but a little white wine should keep it moist, and coupled with the liquid given off by the fish and other ingredients, should produce a tasty sauce of pan juices. Which it in fact did. So here it is, Roasted Halibut with Tomatoes and Basil. We hope that you enjoy it as much as we did! 2. Line a small shallow roasting pan with aluminum foil and place the fish in the pan. 3. Evenly spread the Pesto on fish. 4. Cover the Pesto with approximately 6 or 7 tomato slices, overlapping them to fit. 5. Place the roasting pan on the top rack of the oven and roast for 10 minutes. 6. Add the wine and continue roasting for 10 more minutes. 7. Slice the Halibut in two, and serve with pan juices. 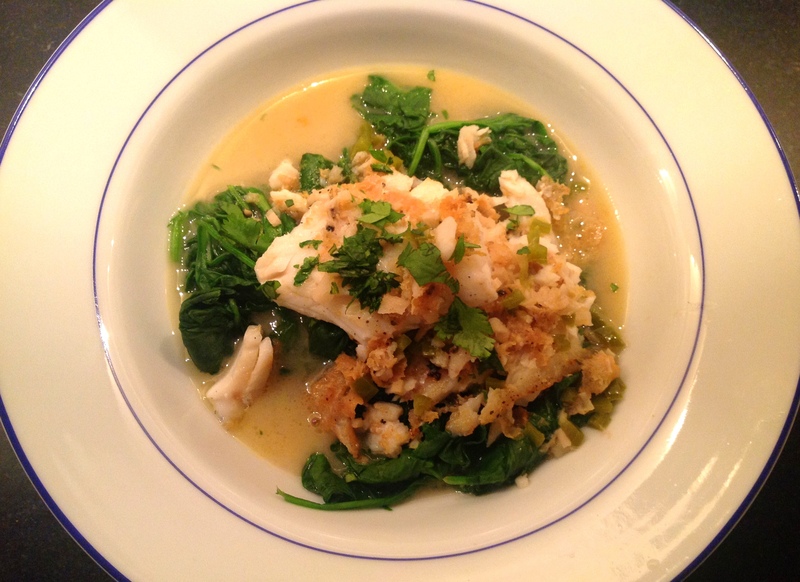 Despite the proliferation and availability of Cod on the eponymous Cape where we’ve made our home for the past several years, I usually refrain from cooking it, as it does not lend itself to many cooking techniques. You can’t grill it, it falls apart too easily. Similarly you can’t sauté it, it quickly turns to mush. I suppose you could bake or roast it, but who wants to heat up the oven to 400 degrees in the summer. My dear wife (a/k/a Grammy) has been after me to prepare it for some time. So yesterday, after recalling an earlier success with Pan-Seared Cod, I decided to try poaching and picked up a lovely one pound fillet at our local fishmonger. It was a perfect piece, center cut, about one inch thick throughout, which makes for even cooking. 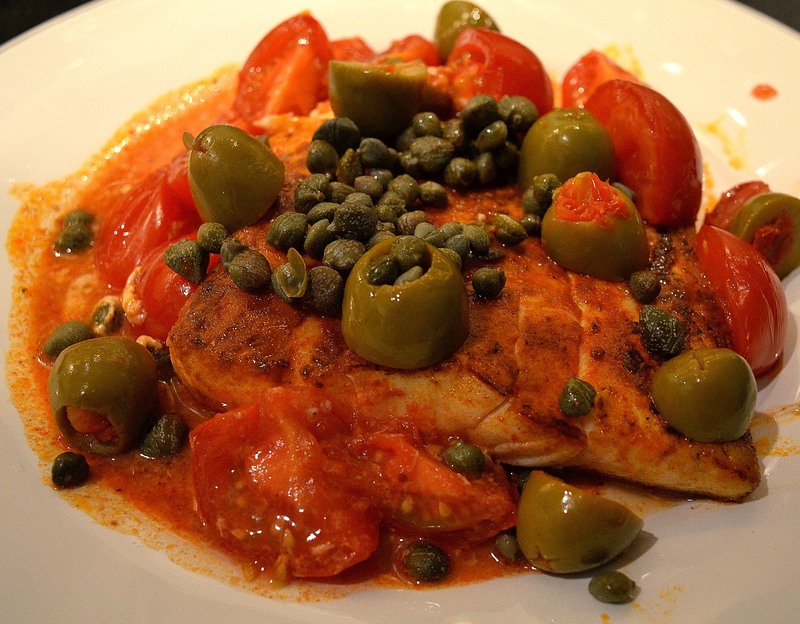 Ever helpful, Grammy suggested a combination of tomatoes, olives and capers, similar to the preparation used in Red Snapper Livornese. I complied with her suggestion, I’d be a fool not to, and last night’s dinner was a rousing success. 1. Salt & pepper the Cod fillet on both sides. 2. In a braising pan or a sauté pan or a skillet that has a cover, heat the olive oil on medium low, add the shallots and cook until soft. 3. Add the white wine, bring to a boil for 2 minutes. 4. Reduce the heat to medium-low and add the seasoned Cod. 5. Add the clam juice, or fish stock. 6. 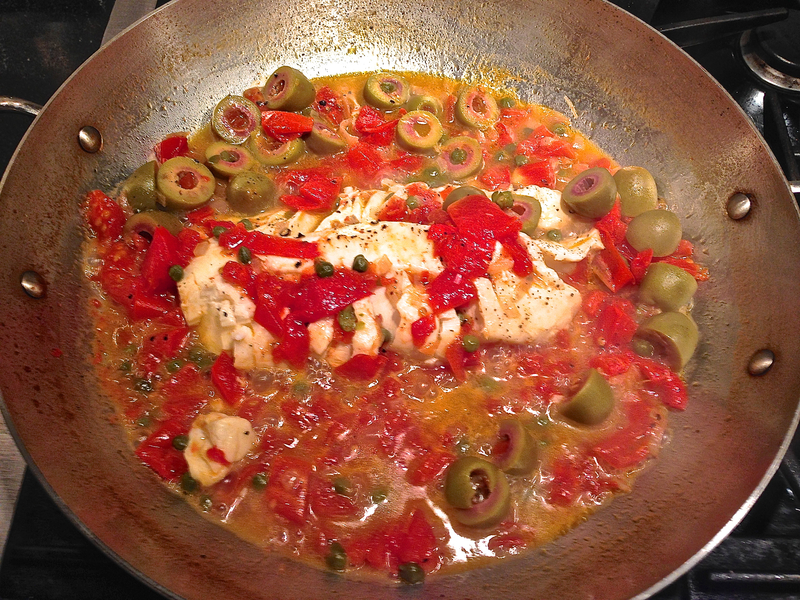 Add the tomatoes, olives and capers, cover and poach for 8 to 10 minutes, until the fish begins to flake. 7. Gently remove the Cod fillet, divide in two, plate and keep warm. 8. Bring the sauce to a boil for 2 to 3 minutes then, spoon the sauce equally over each plate. The local fishmonger was featuring freshly harpooned swordfish yesterday, and I decided to serve it as an appetizer for family and friends. Having grilled swordfish before, both blackened and not, marinated and not, I thought I would try a combination of both techniques, but with the marinade at the end rather than before grilling. This recipe produced about 14 pieces, which were artfully served with spiky toothpicks in homage to the lost sword (?). It was a big hit with all of the fish lovers; next time 2 lbs. and double the recipe. Other thoughts: Sliced and served on pumpernickel with a piece of red onion? Shredded and mixed with farfalle in a macaroni salad? Heat gas grill on high. While the grill is heating, coat one side of the swordfish with 1 tbsp. of the olive oil, sprinkle liberally with blackening powder, turn fish and repeat. Place fish on pre-heated grill and cook for 9 minutes, turn and cook an additional 8 minutes. When cooled, gently cut into 1 inch cubes with a very sharp knife. Pour lime juice over the cubes and mix well. 2. Remove fish and shrimp from refrigerator and bring to room temperature. 3. While the oven is heating, mince the ginger, chop the tarragon and chives and clean & de-vein the shrimp. Also measure out all of the other ingredients and set aside. 4. When the oven is heated, place the corn on a baking sheet and roast for 15 minutes. 5. In the meantime, add the coconut milk and clam juice to a small 1 or 2 quart pot and slowly bring to a boil on medium-low heat. Add the minced ginger and the curry powder. 6. When the corn is done, puree it and whisk it into the broth. 7. Add the shrimp and let cook slowly until pink, keep warm on very low heat. 8. Add most of the chopped tarragon and chives to the broth, reserving a little for garnish. 9. Season both sides of the fish with Kosher Salt. 10. Heat a heavy stainless steel sauté pan on high, add olive oil to the pan and heat on high until it shimmers. 11. Slowly add the fish fillets, skin side down. The fish will buckle up, so push it down for a few seconds to keep it flat. Cook for 2 minutes and turn. 13. While the fish is cooking in step 12, spoon the shrimps and broth into bowls. 14. 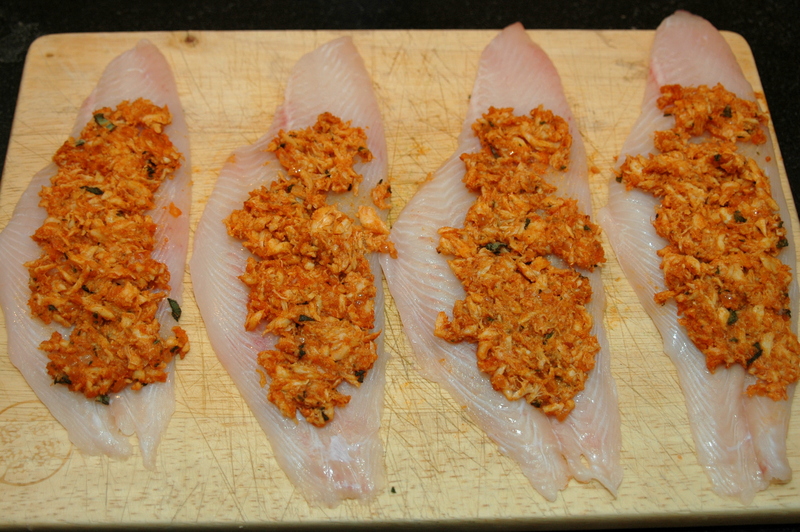 Add the fish fillets when done, skin side down and sprinkle the remaining tarragon and chives over them. 15. Serve immediately with hot, crispy French bread to soak up the broth. Note: This cooking time is predicated on using Black Sea Bass, which is about ½ to ¾ of an inch thick. 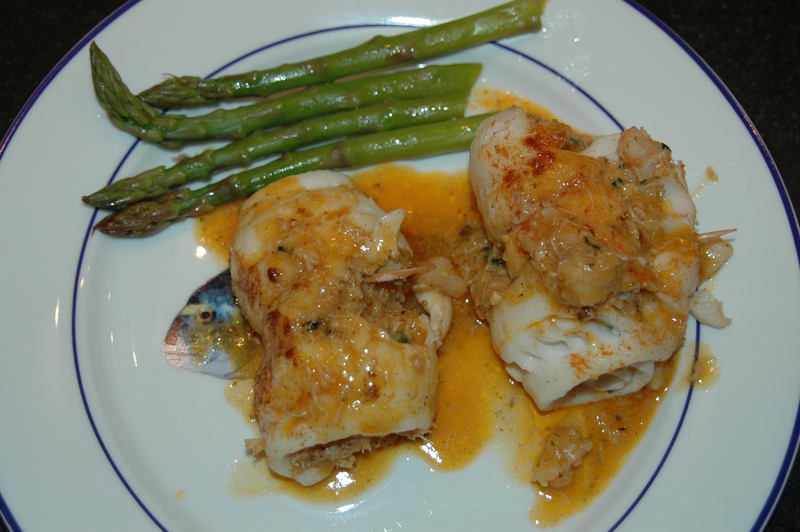 If using Striped Bass or any thicker fish, increase the cooking time accordingly. 1. To a 5qt. pot, add the olive oil and garlic. 2. Heat on medium-low for 3-4 minutes, do not let the garlic burn. 3. Add the parsley and stir well. 4. Add the onion, celery and green pepper, raise heat to medium and cook 6 minutes, stirring periodically, add the tomatoes and cook 4 minutes more. 5. Add the seafood stock, thyme, cayenne and paprika, bring to a boil. 6. Reduce heat to low and simmer, uncovered for 1 hour. 7. Remove from the heat, and with a fine sieve, strain the liquid into a 3 qt. pot – discard the solids. 8. Return the liquid to a boil; add the molasses and the reserved tomato juice. 9. Add the fish and cook uncovered for 40 minutes on medium-low. 10. Raise the heat to medium and cook 20 minutes more. 11. 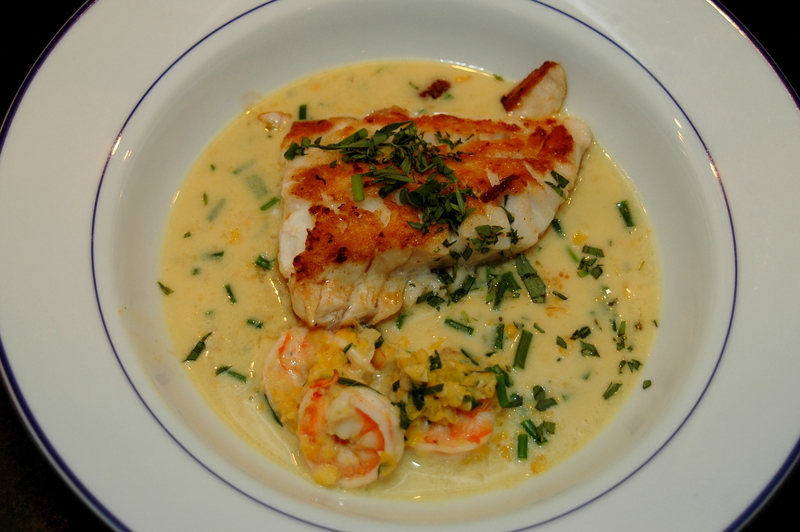 Remove large pieces of fish and shred or chop them, then return them to the chowder. 12. 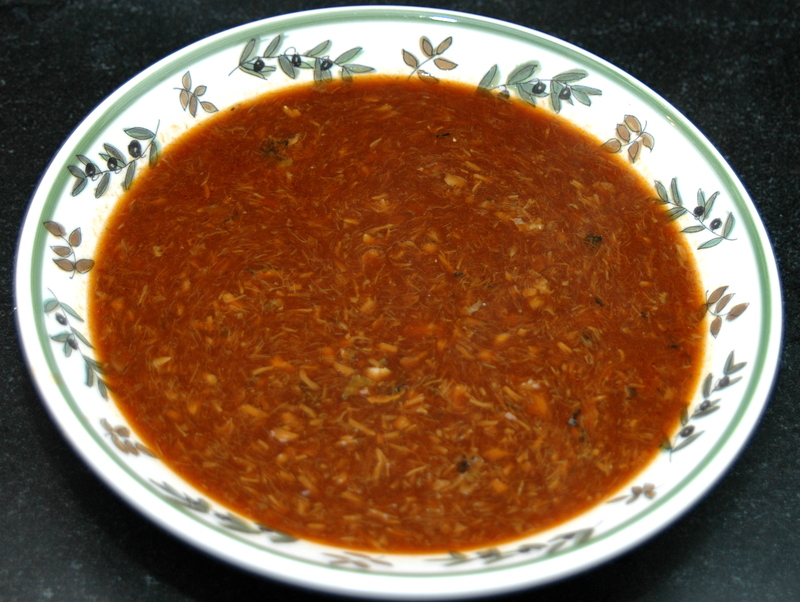 Serve chowder in soup bowls, lacing each bowl with about 1 tablespoon of Gosling’s Bermuda Black Rum and several dashes of Outerbridge’s Sherry Peppers Sauce. Serve with toasted French bread, brushed with olive oil and a well-chilled bottle of Sancerre. 1. Pre-heat oven to 400 degrees with the rack on the highest level. 2. Rehydrate the mushrooms according to instructions on the package. If no instructions are included, soak the mushrooms in 1 cup of warm water for 20 to 30 minutes. Remove the mushrooms with a slotted spoon and set aside, reserve the liquid for use in the sauce. 3. Steam the spinach in 1 cup of water; drain, and when cooled, squeeze out and discard any liquid, set the spinach aside. 4. Place the halibut in a greased roasting pan and roast for 18 minutes. When done, place under the broiler for 2 minutes. 5. While the halibut is roasting, heat the olive oil in a 10-12 inch sauté pan on medium heat; add the chorizo and lightly brown for 3 minutes, turning frequently. 6. Add the tomatoes, cherry pepper and mushrooms, reduce heat to medium low and mix well, cook for 3 minutes more. 7. Add the wine, raise the heat to medium-high and let boil for 3 minutes until reduced by approximately half. 8. Add the reserved mushroom-soaking water and boil for 3 more minutes. You should wind up with about 1 cup of liquid. 9. Divide the spinach in half and place in the center of two bowls. 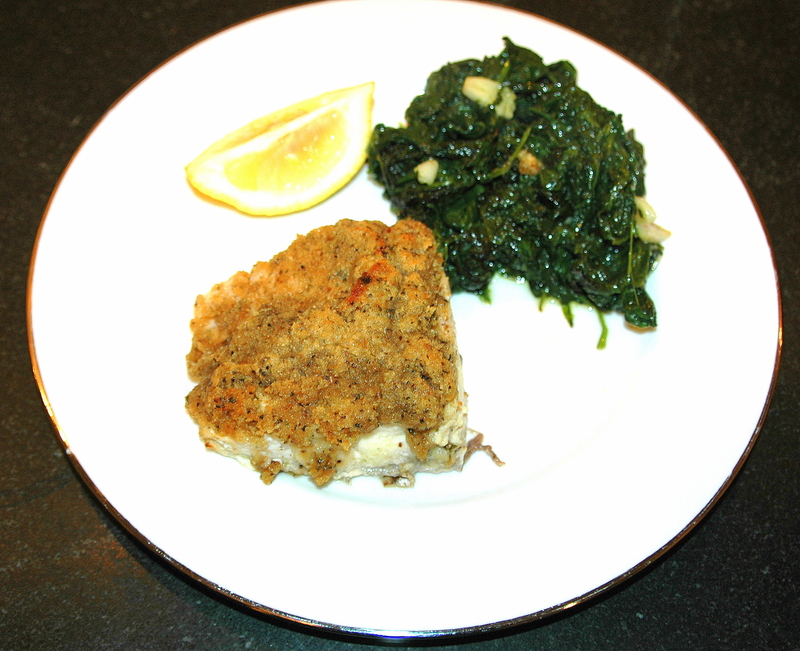 When the halibut is done, slice in half and place each piece atop the spinach ‘bed’. 10. With a slotted spoon, remove most of the chorizo and mushrooms from the sauce (reserving some for garnish) and spread around the halibut/spinach combination in the bottom of the bowl. 11. 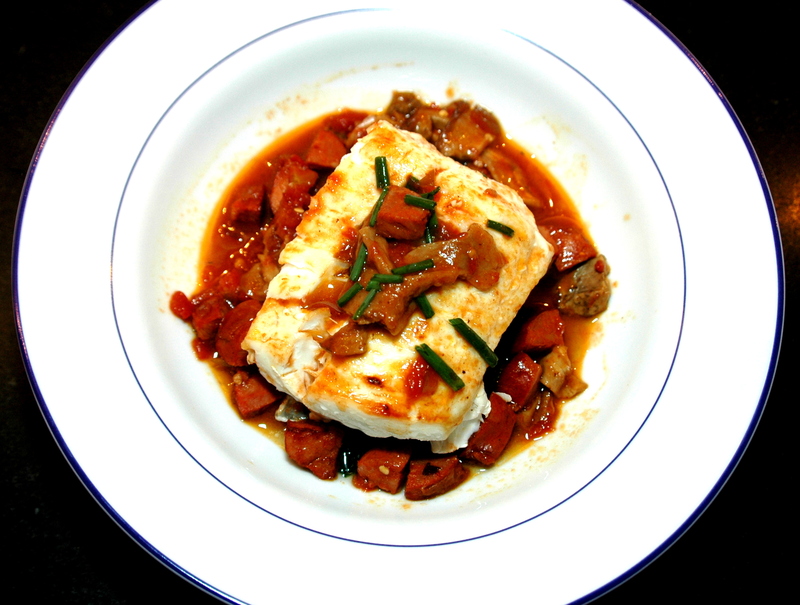 Pour the sauce and the remaining chorizo and mushrooms over the halibut and sprinkle with the chives. *If the spicy (but not overwhelming so) combination of hot chorizo and cherry pepper is not for your palate, leave out the cherry pepper and use regular chouriço, chorizo or linguiça. Serve with a well-chilled bottle of dry white wine, such as a Sauvignon Blanc or a crisp, fresh, Arneis from the Italian Piedmont. 1. Melt the butter in a medium sauté pan over medium-low flame. 2. Add shallots and sauté until translucent. 3. 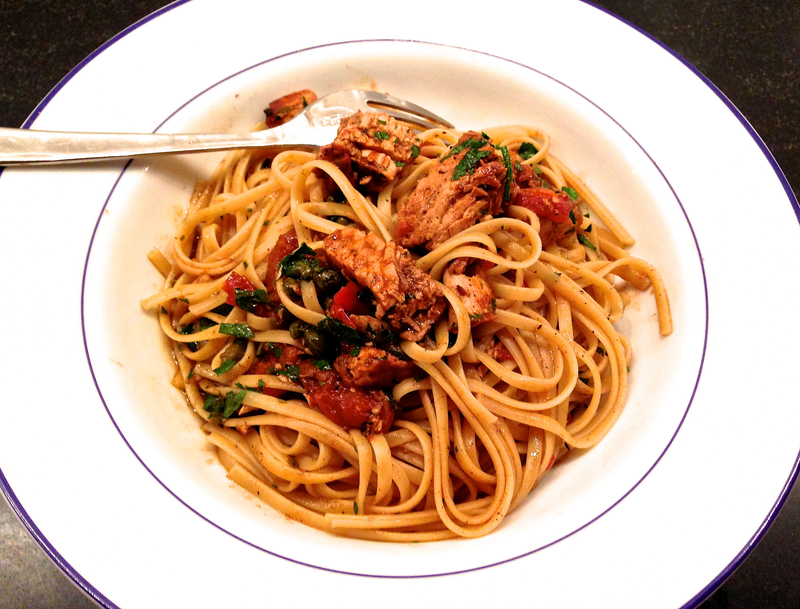 Add crabmeat and breakup large pieces with a fork, add spices. 4. Add wine and cook down a few minutes, stirring mixture continuously. 5. Add breadcrumbs until liquid is all absorbed, stirring mixture continuously. 6. Add chopped sage, and stir into mixture. 7. Remove stuffing from pan, place in a small bowl and allow to cool, prior to stuffing the fish. 1. Spread fillets out on a carving board, with the narrower, pointed end of the fillets facing the away from you and the fillets tuned so that the inside is face up. 2. Take about 2 tablespoon of crabmeat stuffing and beginning at the end of the fillet closest to you, lay the stuffing on the sole spreading it out as you move upward, but stopping about 1.5 inches from the narrow end. 3. Roll-up the fillets starting with the end nearest you and secure each with a toothpick. 4. 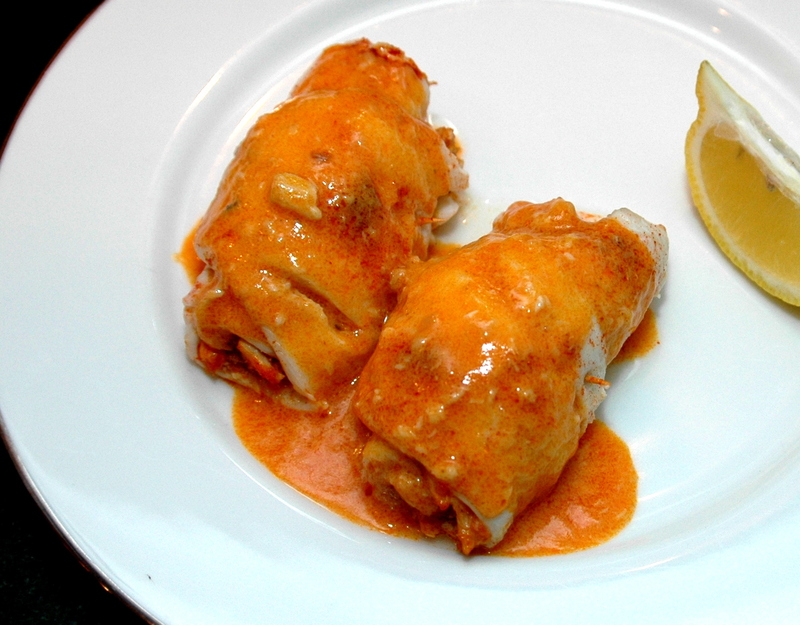 Place the rolled-up fillets in a non-reactive baking dish, with toothpick sides facing down and top each with a pat of butter, and sprinkle with paprika. 5. Bake in a pre-heated 375 degree oven on the top shelf for 18 minutes. 6. After 9 minutes into the baking, add ½ cup of dry white wine. 7. When fish is cooked, remove from pan and set aside and keep warm. 8. Pour off the liquid into a small pot and boil on high for 2 to 3 minutes, while whisking in a ½ teaspoon or more of Wondra flour to thicken. 9. Pour sauce over fillets and serve immediately, with lemon wedges. 1. In a medium sized bowl, whisk the eggs together with cheese and add freshly ground black pepper to taste. Transfer the mixture to a rectangular Pyrex® baking dish, or something similar. 2. Add the flour to a second rectangular Pyrex baking dish, or something similar. 3. In a large non-stick skillet, heat the olive oil on medium high heat and then add the butter. 4. In the meantime, dredge the fillets in the flour, coating them on both sides and then dip them to the egg-cheese mixture. 5. When the butter is melted, swirl in with the oil and add the fillets. 6. Cook the fillets until browned, 1 and ½ minutes. 7. Turn carefully with a long spatula and cook on the other side foe an additional 1 and ½ minutes. 8. Remove the fish to a warmed serving platter. 9. Add the wine and lemon juice to the pan, and stir until slightly thickened. Add extra flour if needed. 10. 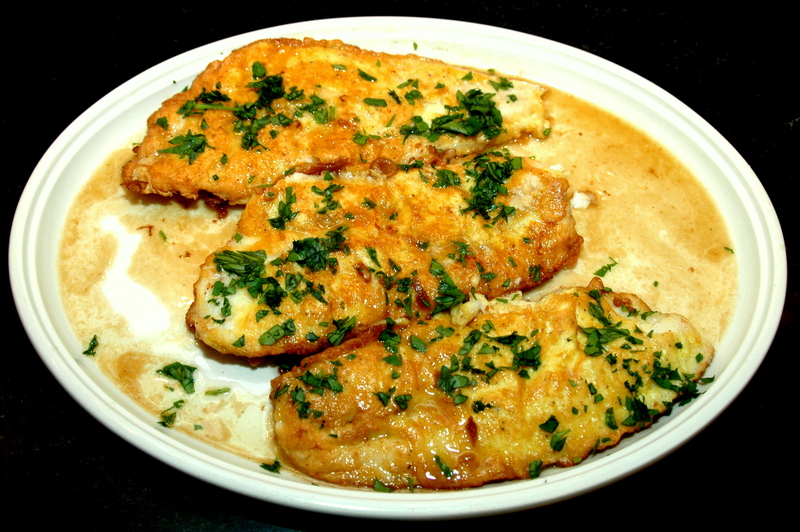 Pour the sauce over the fish, sprinkle with parsley and serve immediately. 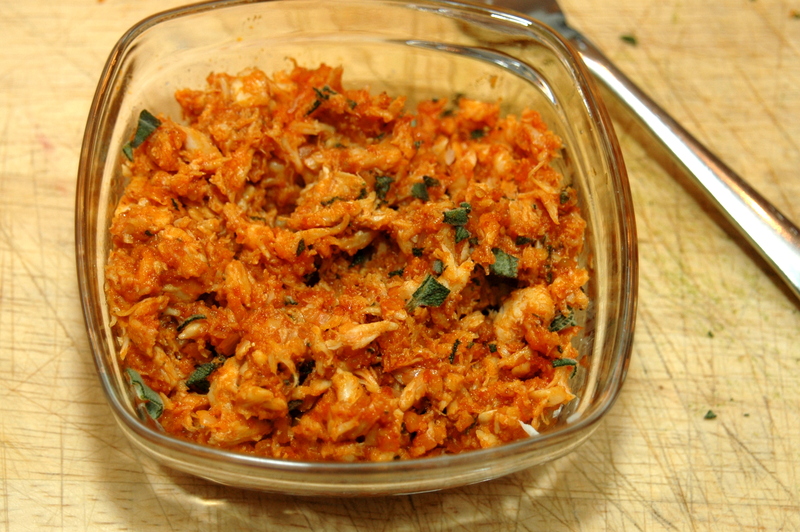 1 cup of shredded crabmeat, about 8 oz. 1. Melt 3 tbsps. of the butter in a small sauce pan on medium heat. 2. Add the garlic and sauté lightly, do not let brown. 3. Stir in the oregano. 4. Add the shrimp & crabmeat. 5. Stir in the breadcrumbs, celery seed and ½ teaspoon of paprika. 6. Cook the mixture on medium for about 3 to 4 minutes to blend the flavors. 1. Lay the fillets out on a cutting board, with the narrow end toward you. 2. Spoon the stuffing onto the fillets, leaving about ¾ inch clear from either end. 3. 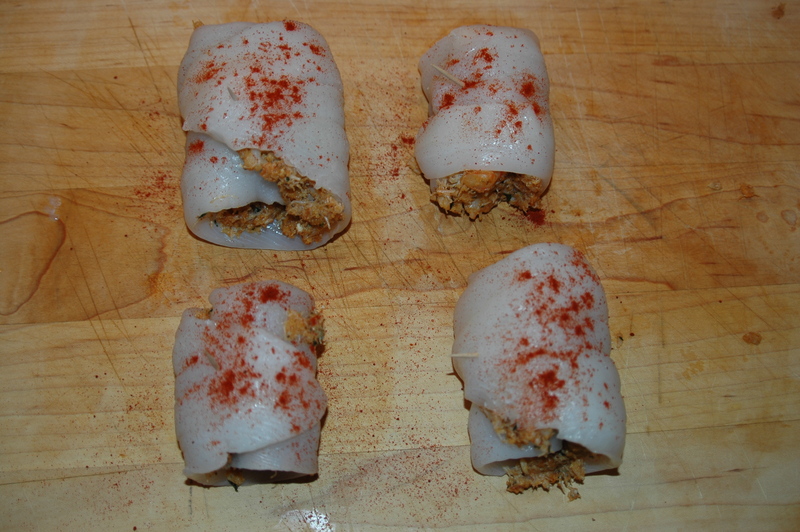 Gently roll up each fillet starting from the narrow end. Secure each roll with 2 toothpicks. 4. Sprinkle each roll with the additional paprika. 5. Melt the remaining 3 tablespoons of butter on high heat in a non-stick sauté pan with a cover. 6. When the butter is bubbling, gently add the rolled fillets and reduce heat to medium. 7. Saute the fillets on three sides, turning each fillet 1/3 of a turn after 1 minute, for a total of 3 minutes. 8. Return heat to high, add the wine, bring to a boil, cover and cook for 5 minutes more. 9. 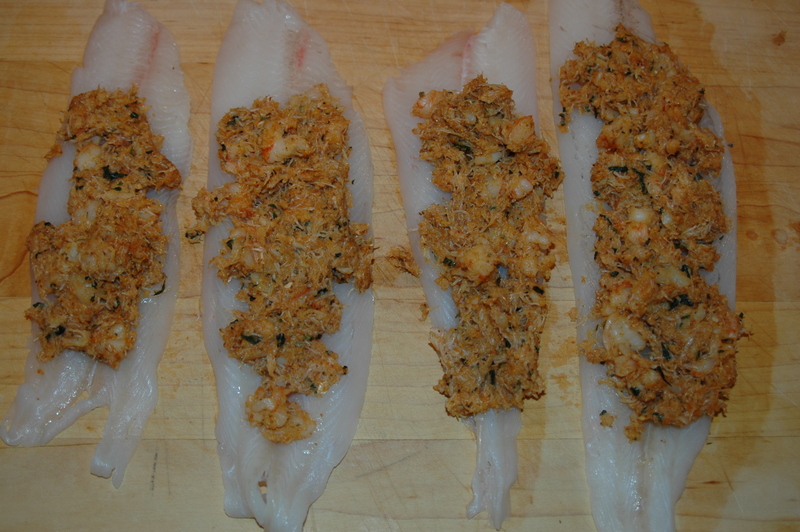 Carefully transfer the fish to individual plates and spoon the remaining gravy and loose stuffing over each fillet. Serve with steamed asparagus, dressed with butter and lemon, and a dry white wine such as Sancerre or Sauvignon Blanc. I went to the local fish market yesterday, intending to grill a fillet of striped bass and serve it oreganata style for last night’s dinner. But the fishmonger told me that the season is over; however, he did have a supply of freshly-caught, ‘harpooned swordfish‘. Change of plans necessary! Ditch the oreganata idea, maybe hold that for a future dish of clams oreganata and head back to the produce market for mangoes, pineapple, jalapenos, red onion, cilantro and limes. 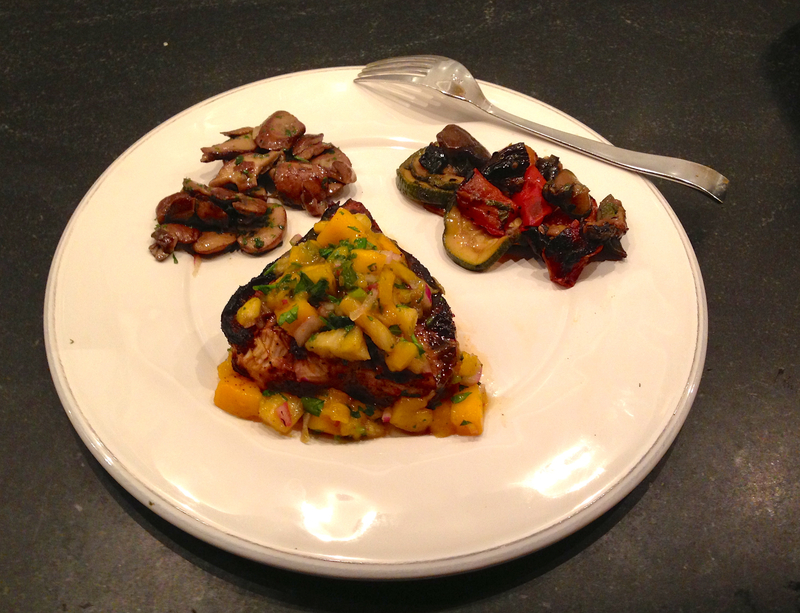 Menu changed to Grilled Swordfish with a Pineapple Mango Salsa. 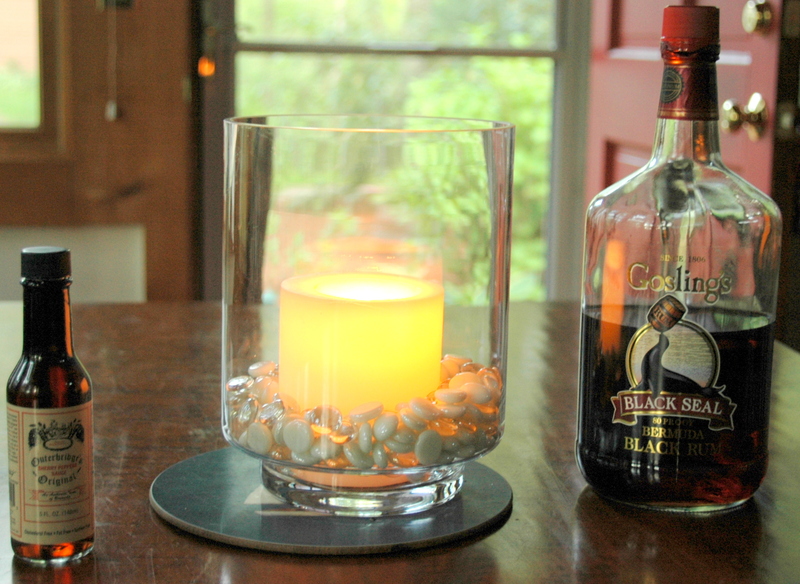 Mix the above ingredients and lit sit for 30 minutes to blend the flavors. 1. Rub the swordfish steaks with the olive oil and coat with salt and pepper, let fish sit for 15 to 30 minutes at room temperature. 2. Spray the grill with Pam or other non-stock spray, grill the swordfish steaks on very hot grill for 16-18 minutes, turning once. Serve the Swordfish with the salsa on top. We served this with Grilled Summer Vegetables and Aunt Emma’s Sautéed Mushrooms, as well as several well chilled bottles of Muscadet Sevre-et-Maine Sur Lie. Fillet of Striped Bass, about 14 oz. 1. Pre-heat oven to 500 degrees. 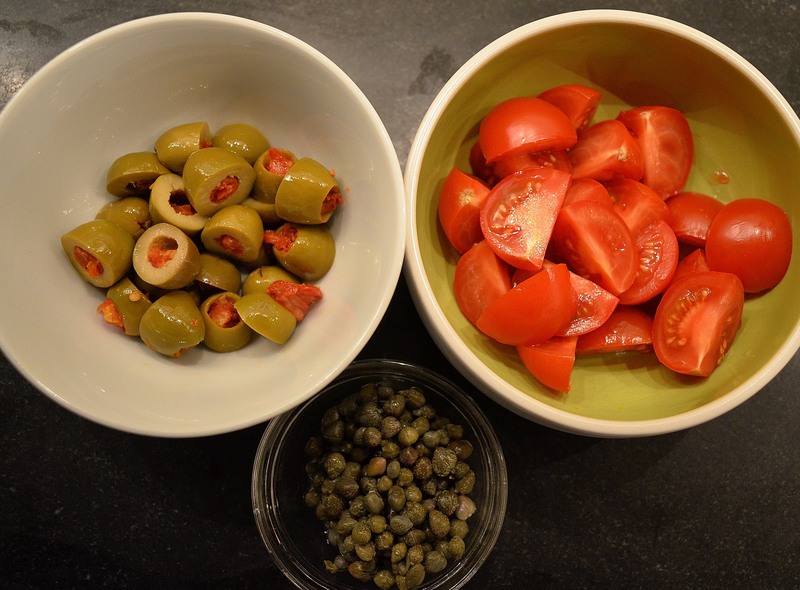 2. while the oven is heating, mix the first three ingredients in a small bowl. 3. Add the 3 ½ tbsp. of olive oil and the lemon juice, mix well to form a paste. 4. Coat the fish with the remaining 1 tsp. of olive oil and sprinkle with kosher salt and fresh ground pepper. 5. Spoon the oreganata paste over the fish to coat it evenly. 6. Overlap the lemon slices on the aluminum foil. 7. 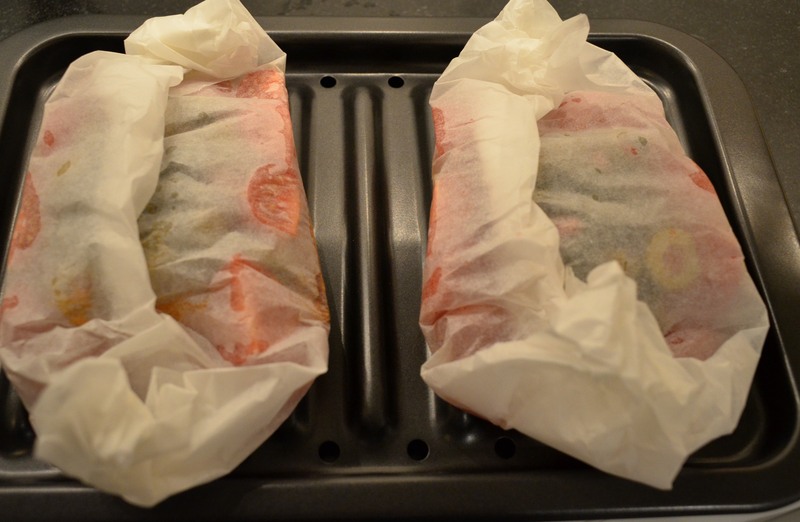 Place the coated fillet on top of the lemon, and fold the aluminum paper to make a tent, leaving space above the fish. 8. 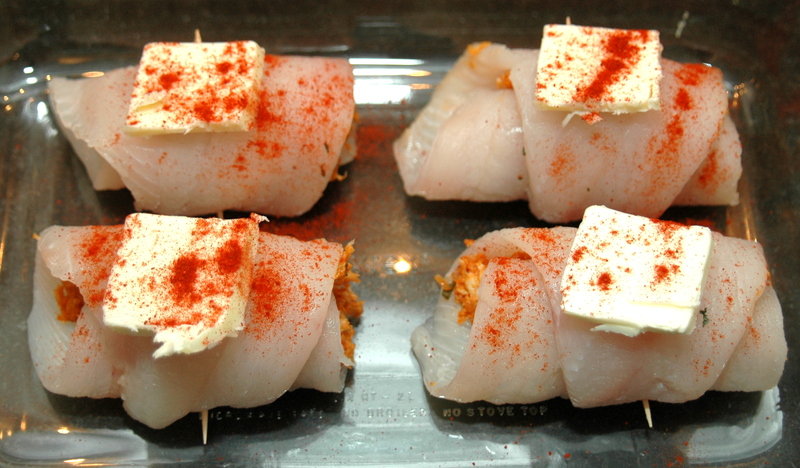 Place the package on a shallow baking pan and cook for 30-35 minutes depending on thickness of the fish. Serve with lemon wedge, a side sautéed spinach and a glass of Rosé. Note: This dish can be made with any firm, white, fish, such as red snapper; just adjust the cooking time based on thickness. 1. Soak the cedar plank for several hours before grilling. 2. In a medium-sized bowl, whisk together the olive oil, soy sauce and honey. 3. Add the garlic, ginger and mustard powder and let sit for 30 minutes so the flavors blend. 4. Remove fish from refrigerator and let sit for 20 minutes while you pre-heat the gas grill on medium. If your grill has a thermometer, you want it to be at about 450 degrees. 5. 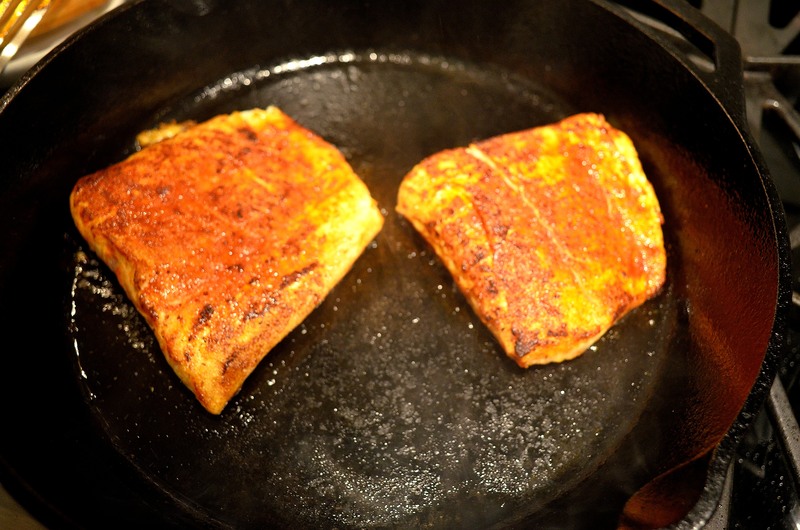 Place salmon in a shallow non-reactive pan, skin side up and pour marinade over it. 6. 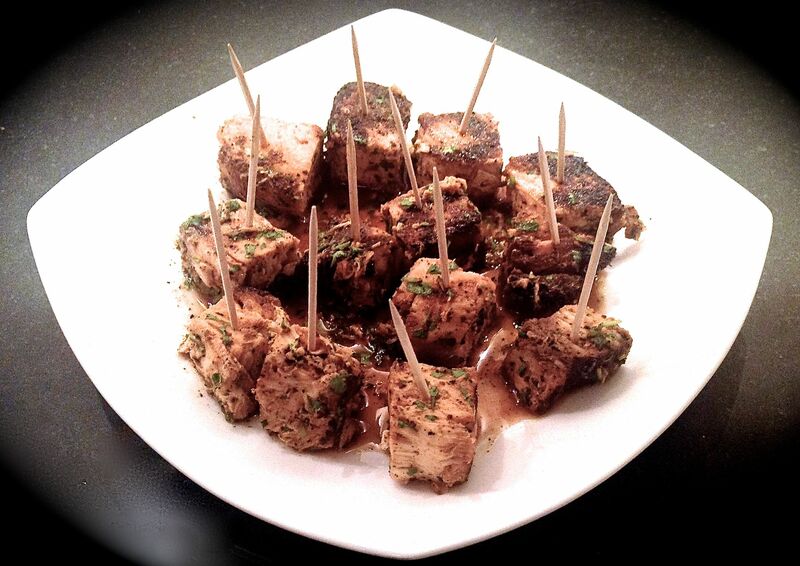 Let salmon sit in marinade for 30 minutes, turning once after 15 minutes. Do not marinate for more than 30 minutes or the flesh might begin to break down. 7. 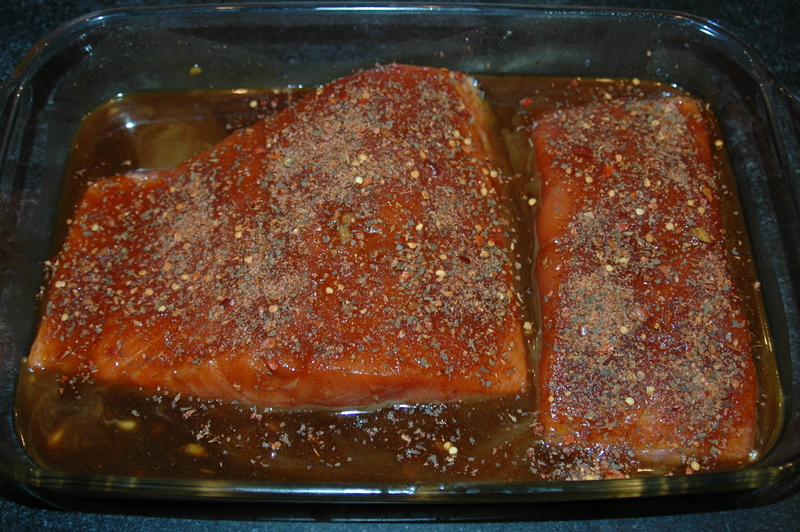 Sprinkle the Potlatch seasoning over the flesh side of the salmon. 8. 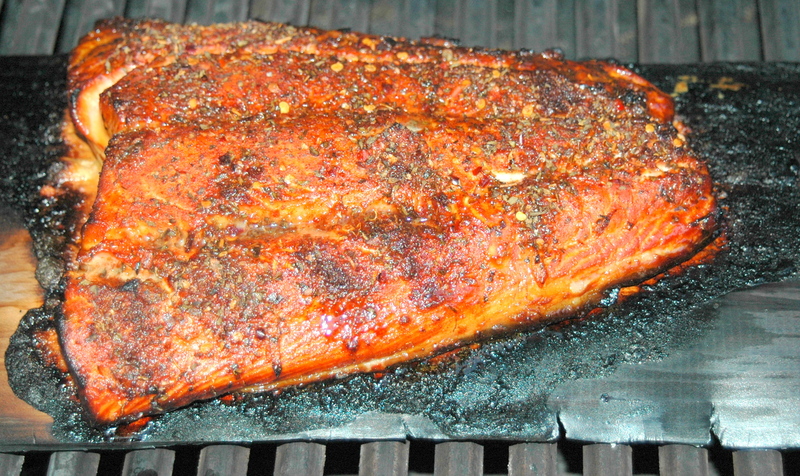 Place the cedar plank on the grill over indirect heat. We have a three burner grill, so I shut the middle one and place the cedar plank over it, that reduces the chance of the the plank catching fire. Place the salmon fillets on the plank, flesh side up. 1. Heat the olive oil on medium, in a non-stick pan with a cover and large enough to hold the fillets side by side. 2. Add the garlic and onion and sauté lightly for 2 minutes, do not let it brown. 3. 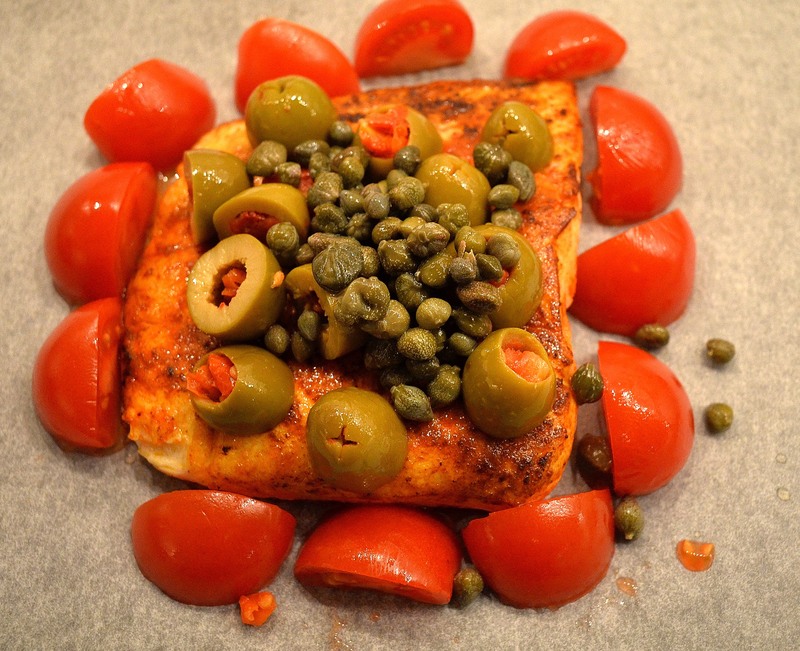 Add the capers and olives and cook for two more minutes. 4. Add the white wine, turn the heat to high and bring to a boil. 5. Add the tomatoes, stir for 30-45 seconds, then add the fish stock or clam juice. 6. Add the fish fillets, cover and poach 8 to 10 minutes for Red Snapper; 10-12 minutes for Stripped Bass, depending on thickness. 7. Remove the fish to plates, sprinkle with the parsley and pour the sauce over the fish. Serve with steamed or boiled, buttered new potatoes and a simple salad.